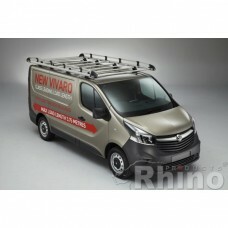 The 2 x Rhino Delta Roof Bars - Trafic 2014 on LWB High Roof Twin Doors combing heavy duty strength,.. 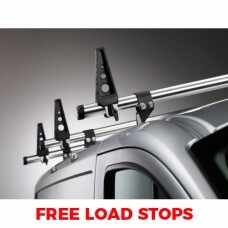 The 3 x Rhino Delta Roof Bars - Trafic 2014 on LWB High Roof Twin Doors combing heavy duty strength,.. 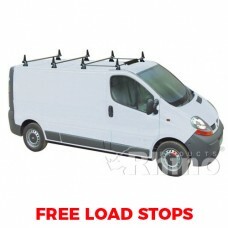 The 4 x Rhino Delta Roof Bars - Trafic 2014 on LWB High Roof Twin Doors combing heavy duty strength,.. The Rhino delta bar rear roller connects on to the rear bar of a Delta Bar system, extending towards..
Rhino Load Stops - 2 Pair PackSideways moveable Rhino Delta load stops, which retain loads. Su.. The 2 x Rhino KammBar - Trafic 2014 on LWB High Roof Twin Doors are an aerodynamic roof bars ma.. The 3 x Rhino KammBar - Trafic 2014 on LWB High Roof Twin Doors are an aerodynamic roof bars ma.. The 4 x Rhino KammBar - Trafic 2014 on LWB High Roof Twin Doors are an aerodynamic roof bars ma..
Rhino Aluminium Roof Rack - Trafic 2014 on LWB High Roof Twin Doors The very latest in Commercial ..
Rhino Ladder Clamps A well designed and unique product from Rhino Products. Design..
Rhino Pipe Tube Carrier 3Mtr (Universal Fit) The Rhino Pipe Tube Carrier is manufactured from..
Rhino Ladder Loader 3.1m Gas Assisted SafeStow 3 by Rhino Products Ltd, UK manufacturer of roof..
Powered By Sherbet Lemon Internet Ltd.